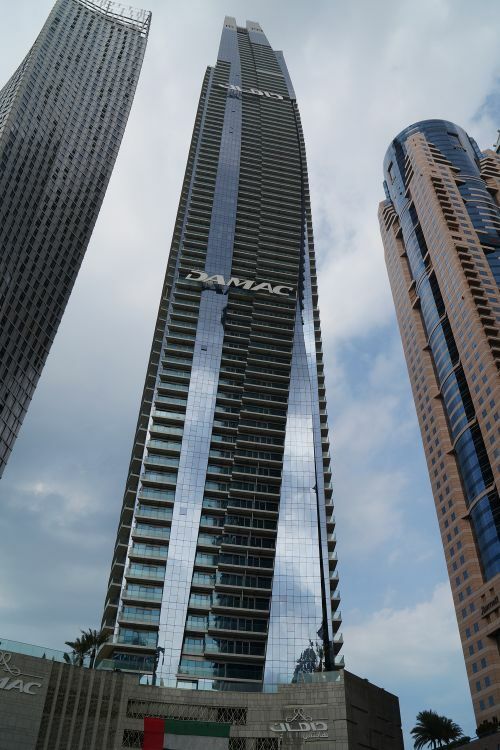 Damac Heights won the award for “Best Residential High-rise Architecture Dubai” at the 2014 International Property Awards. 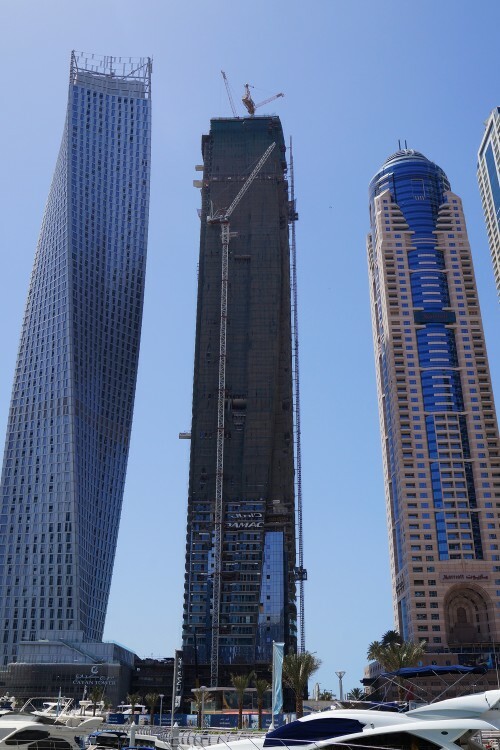 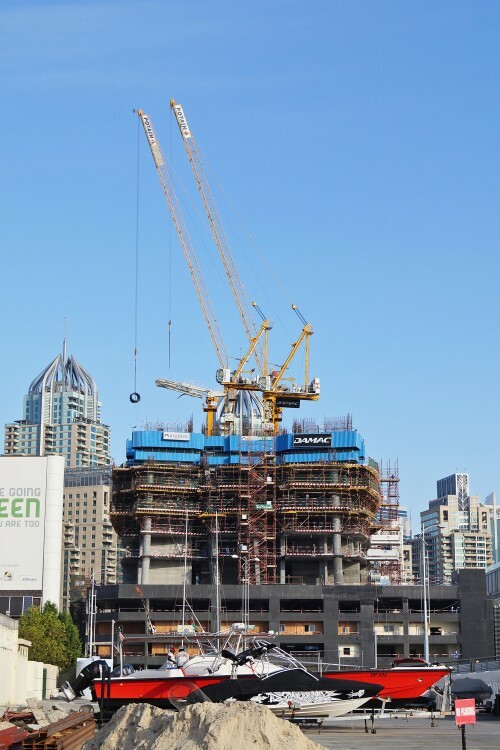 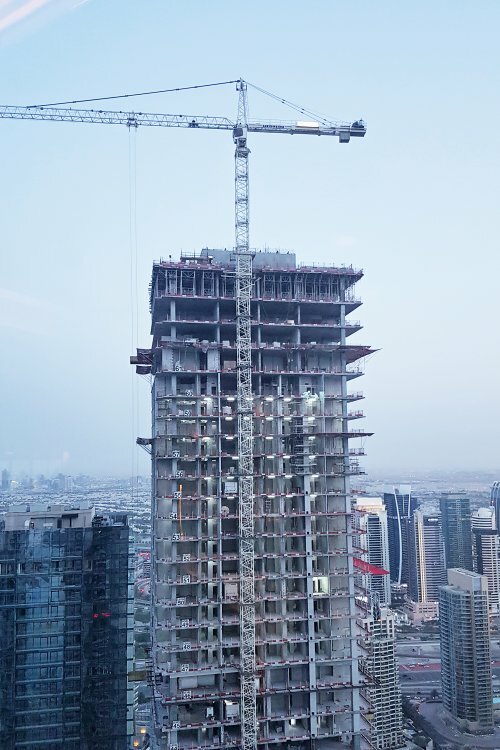 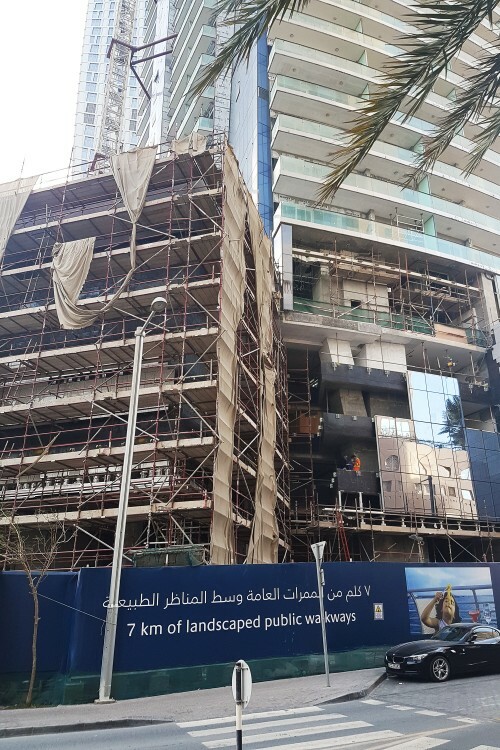 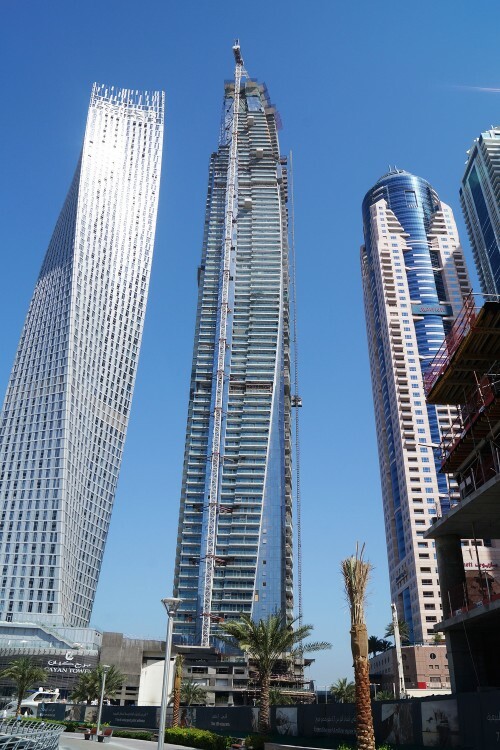 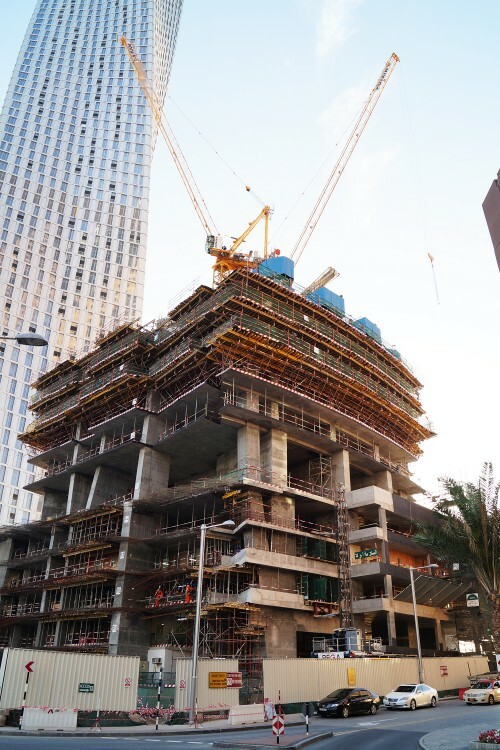 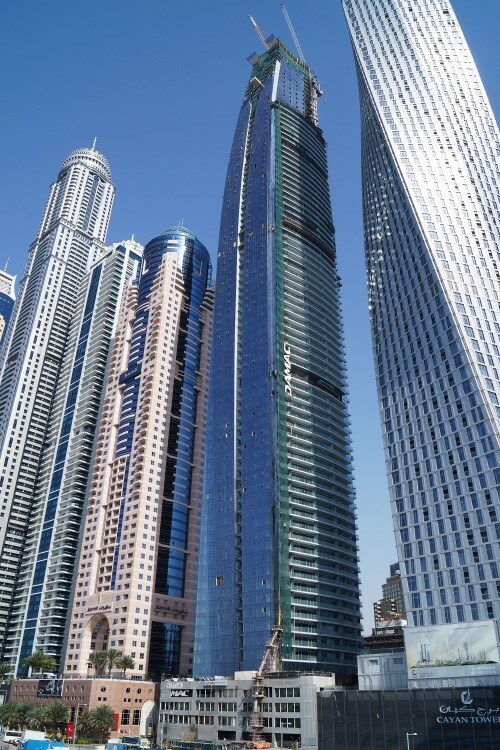 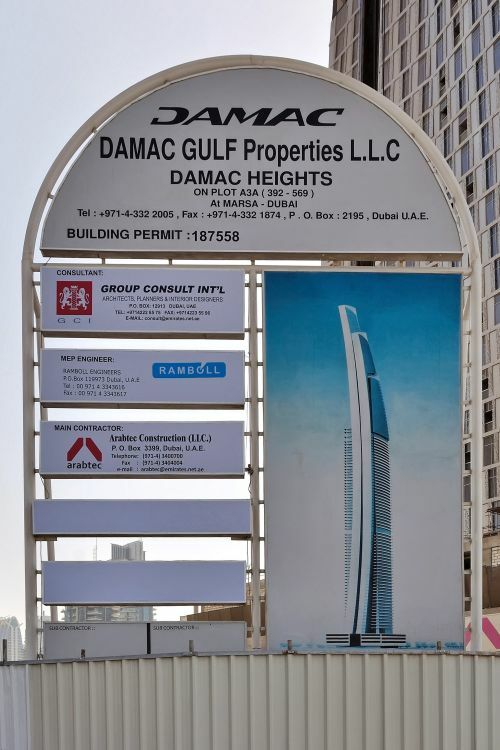 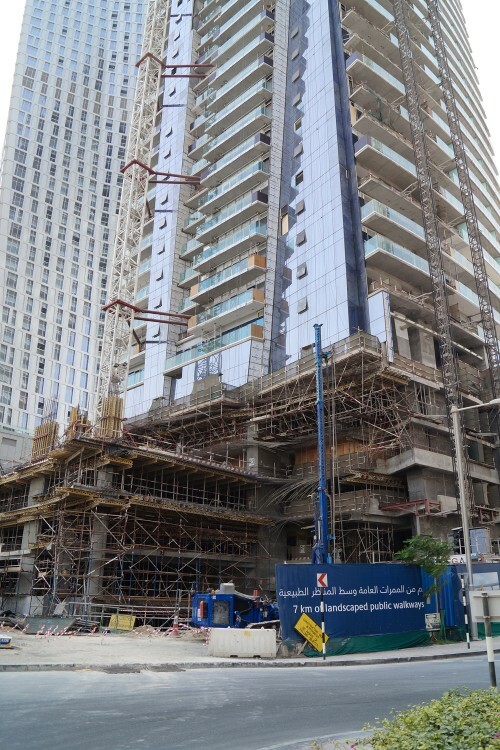 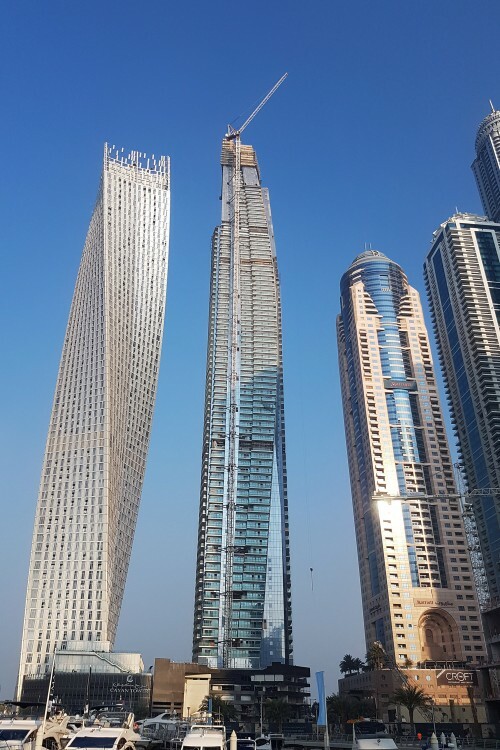 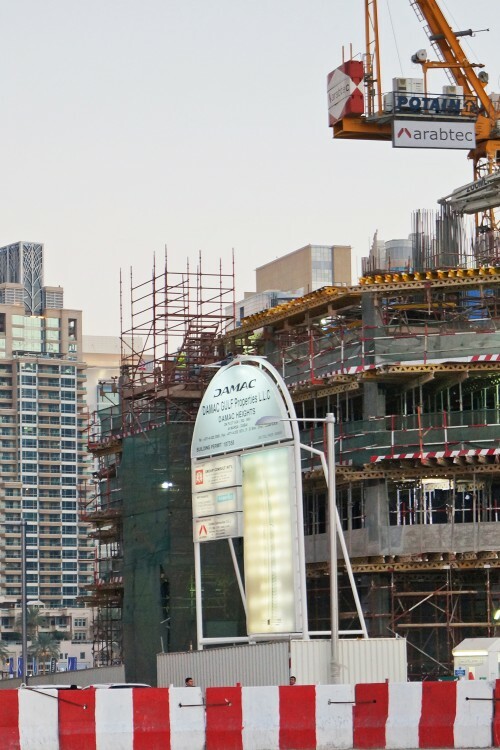 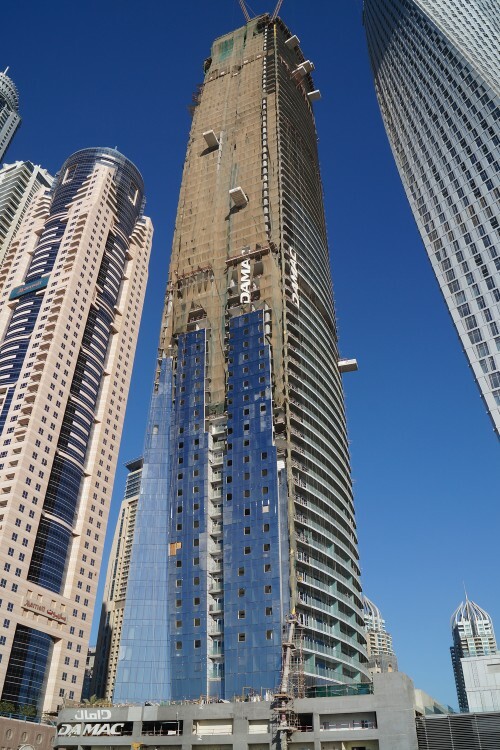 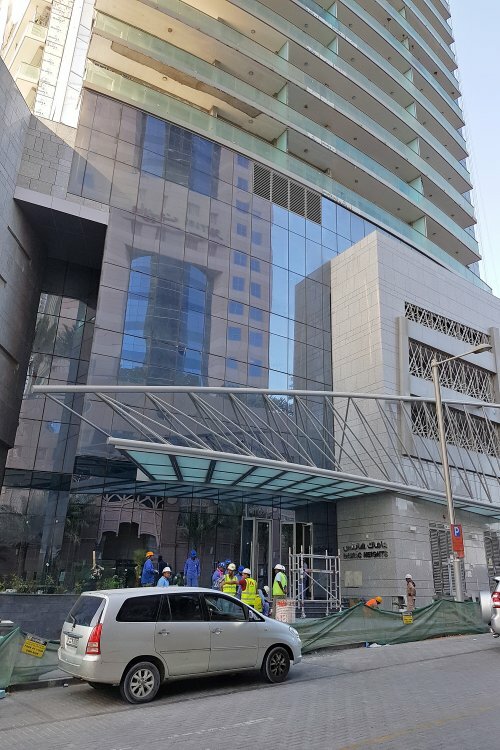 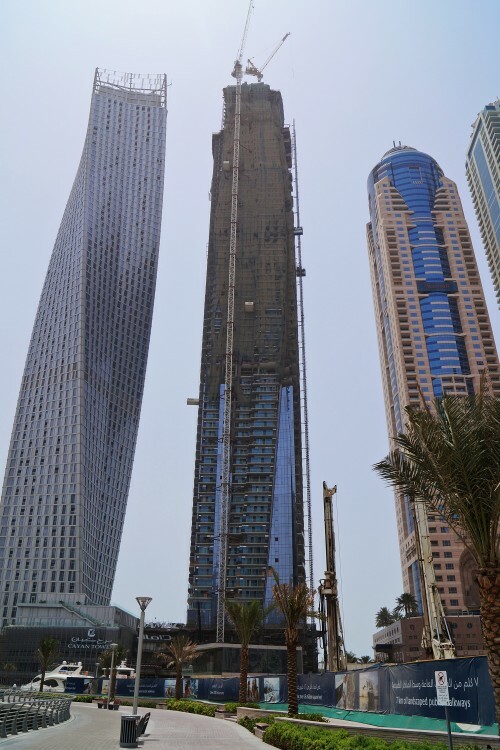 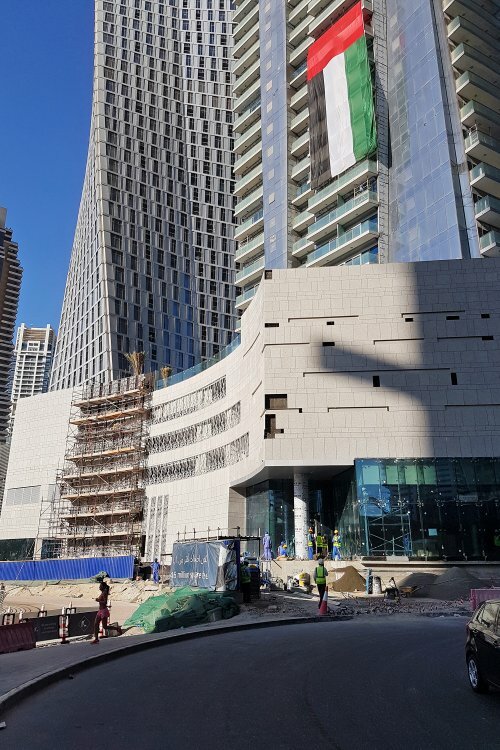 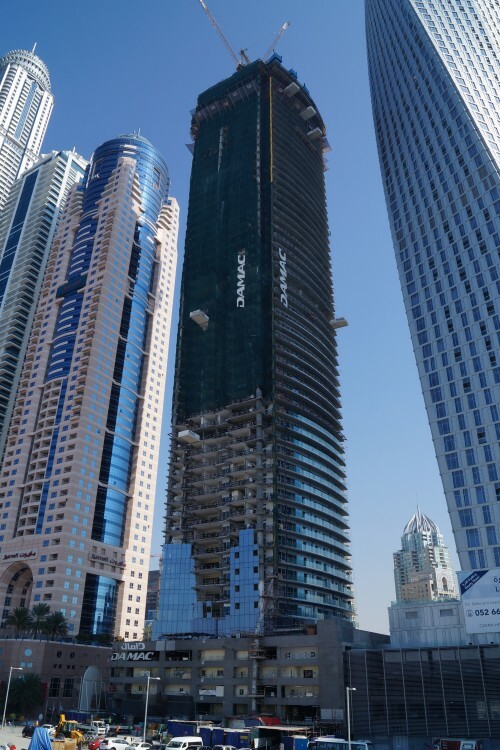 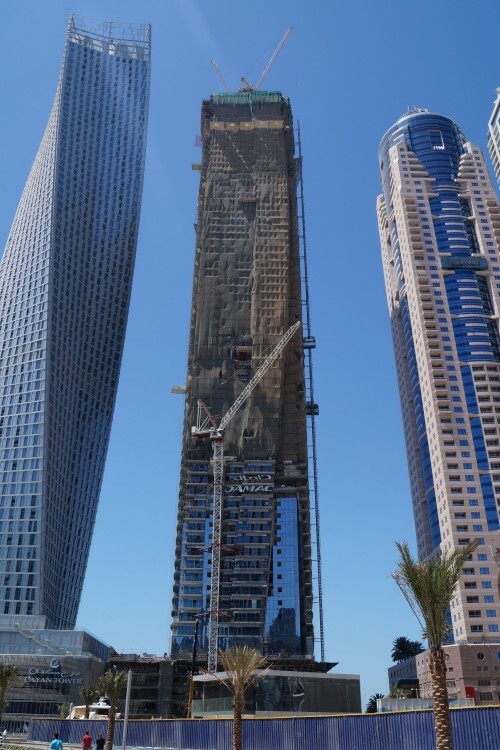 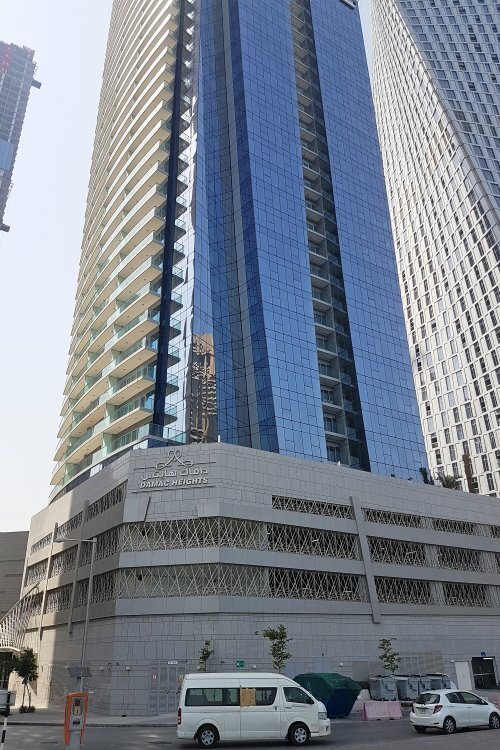 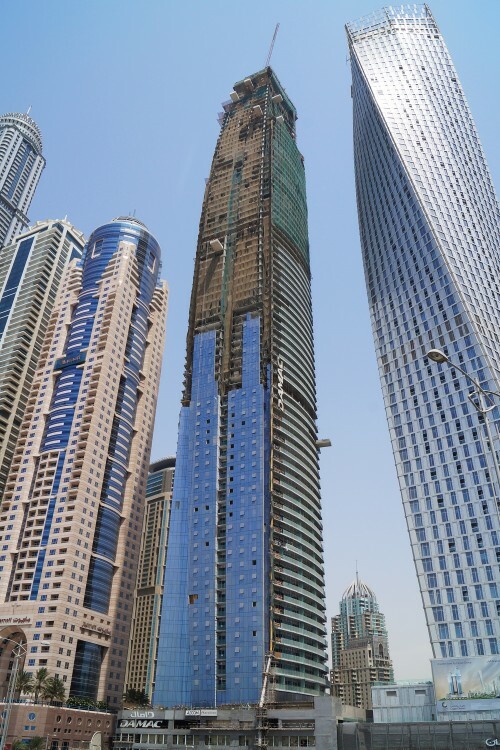 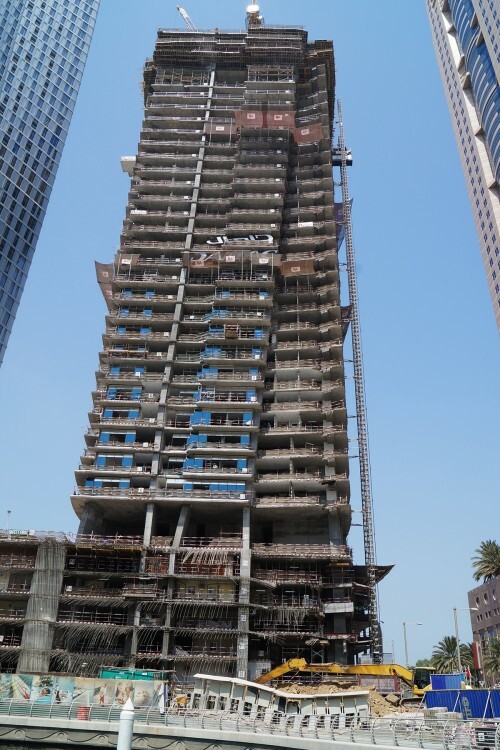 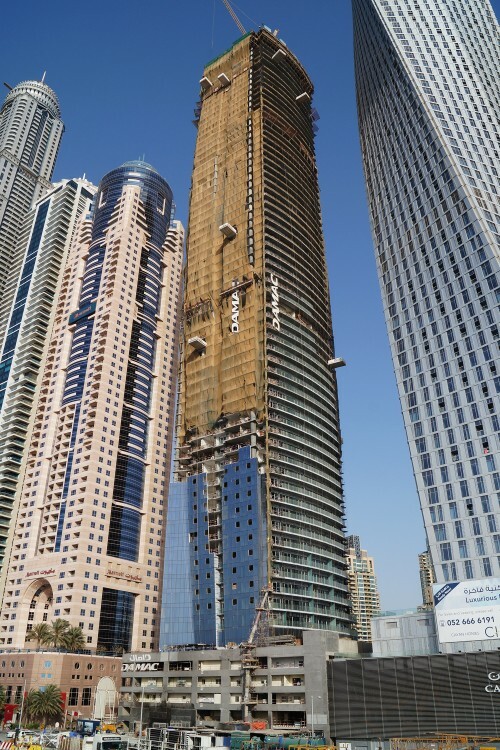 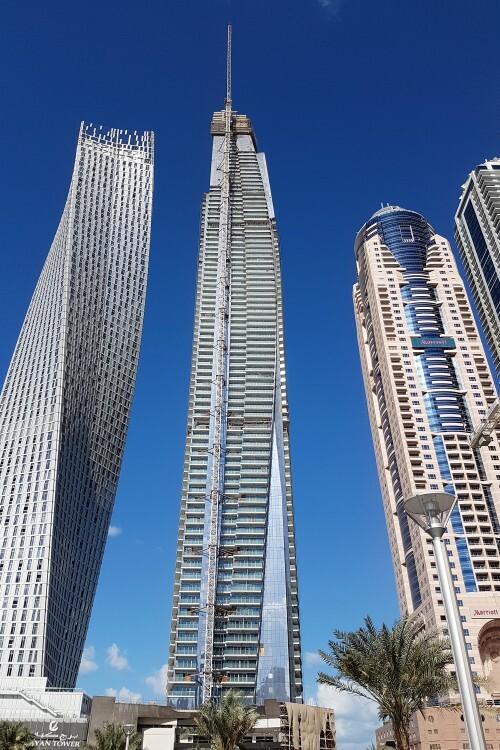 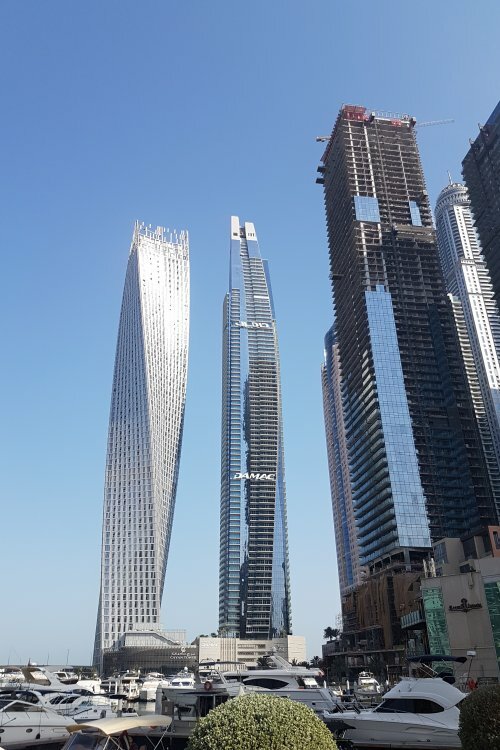 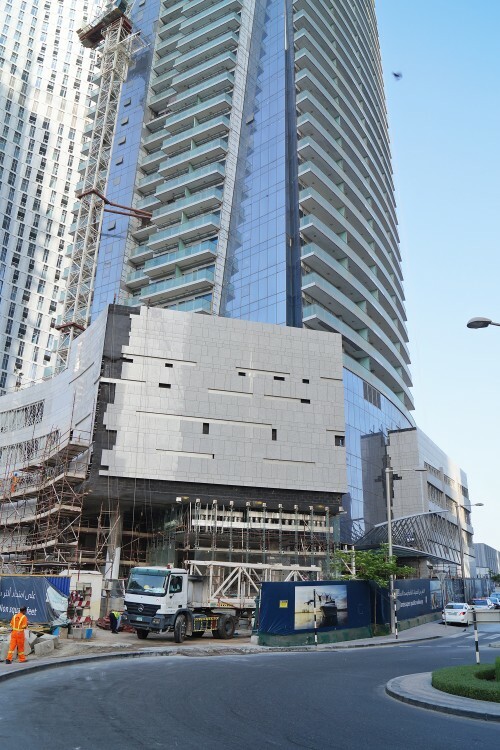 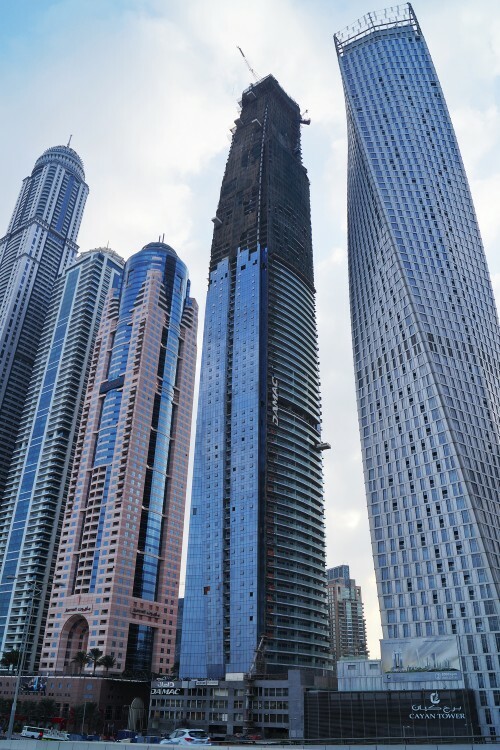 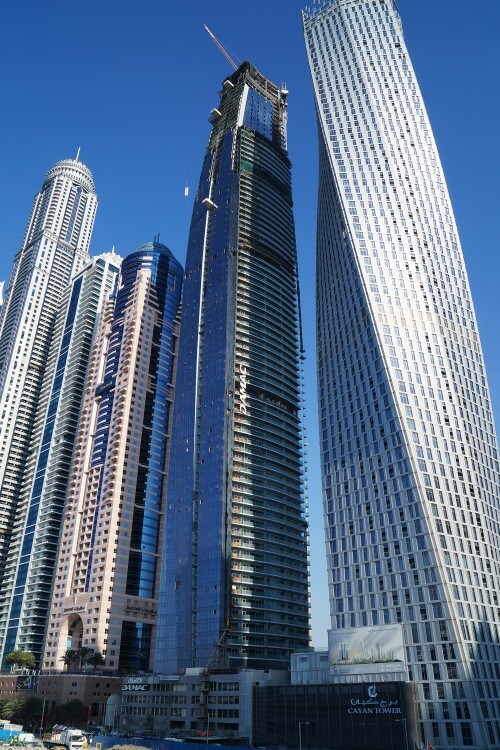 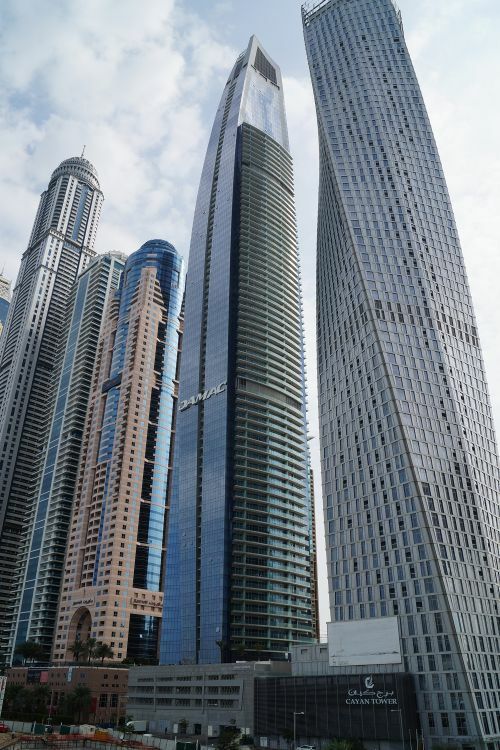 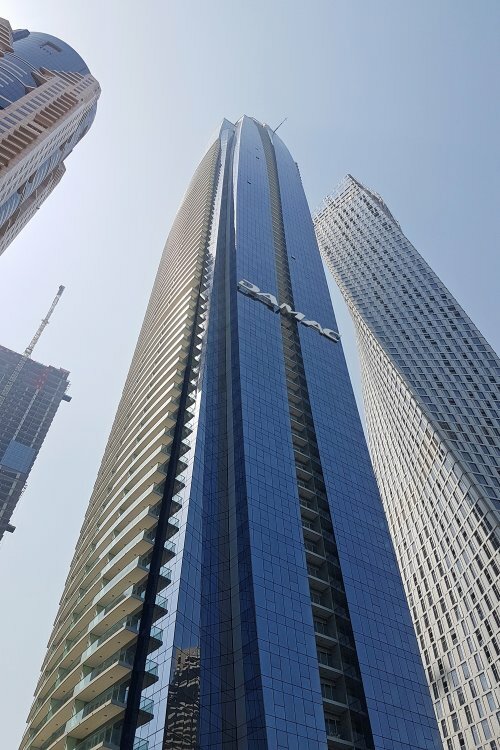 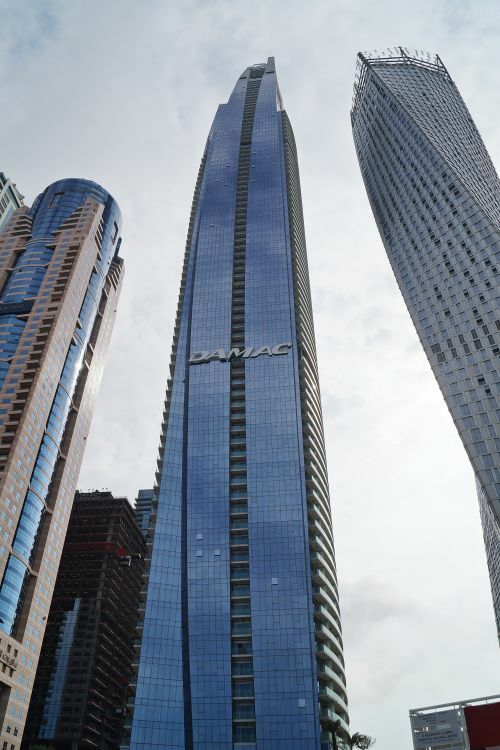 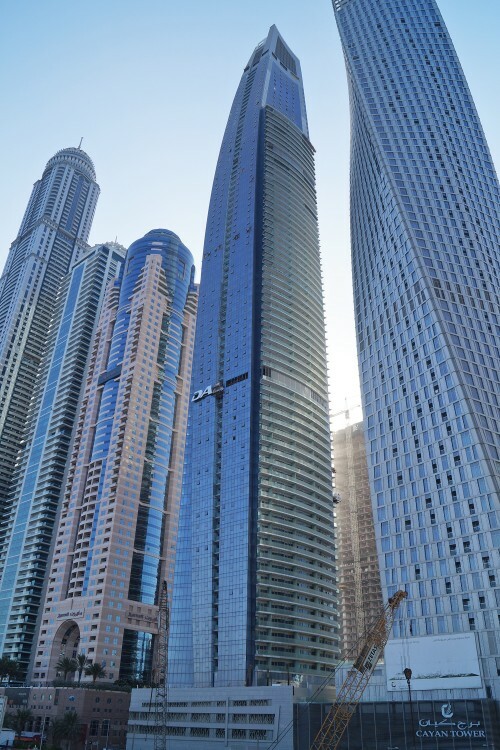 Damac Heights is an 86 floor skyscraper currently under construction in Dubai Marina. 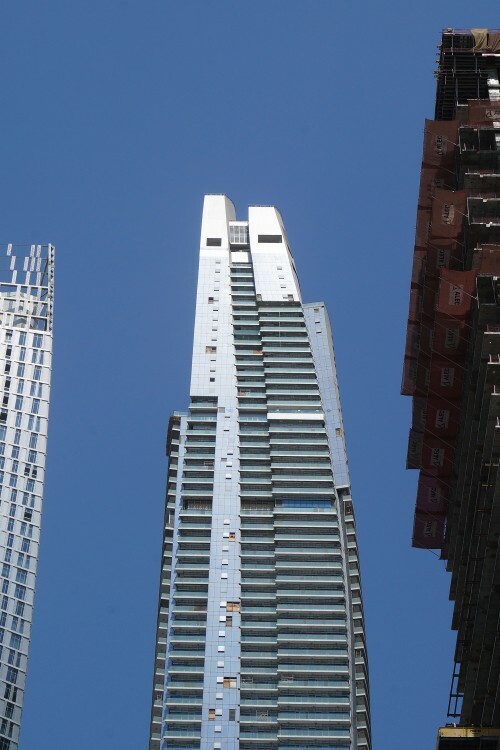 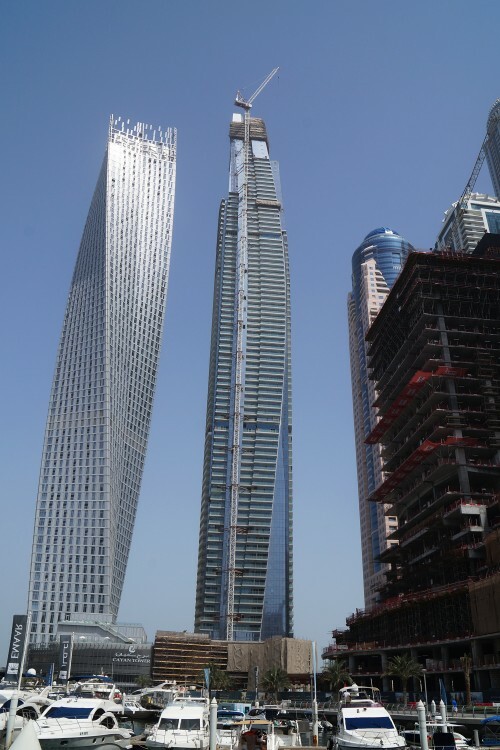 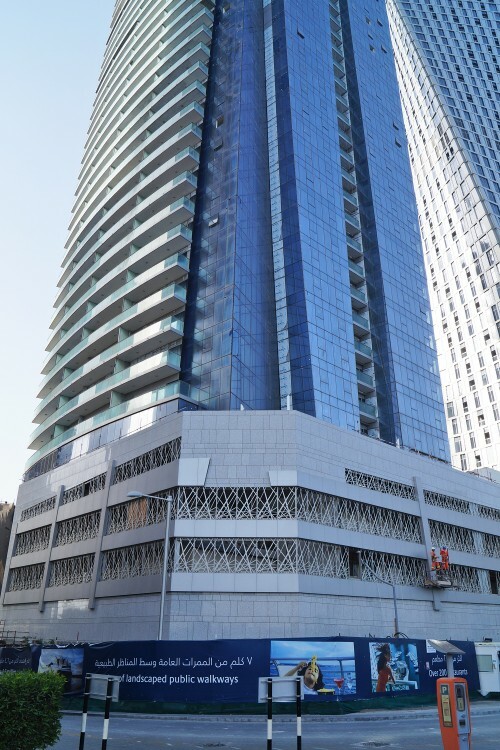 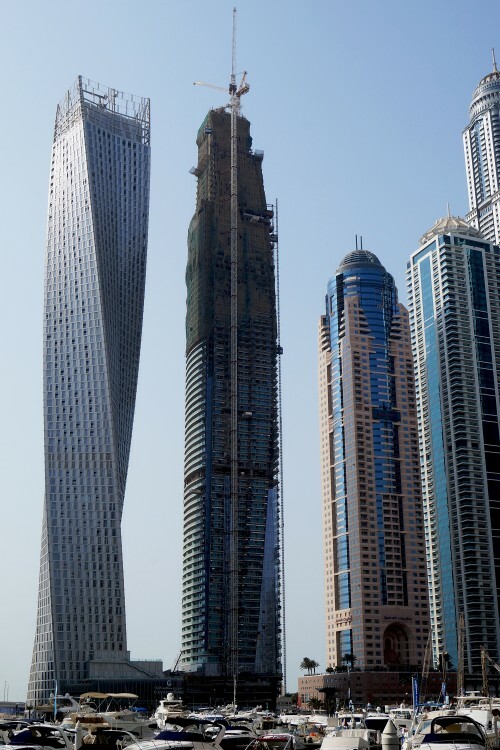 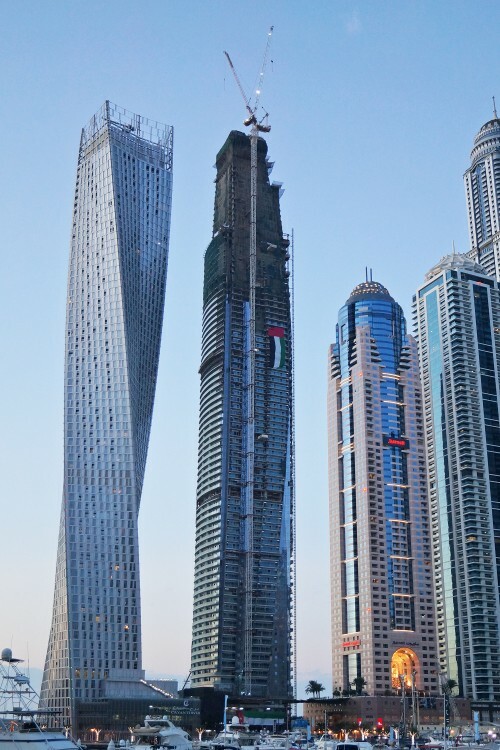 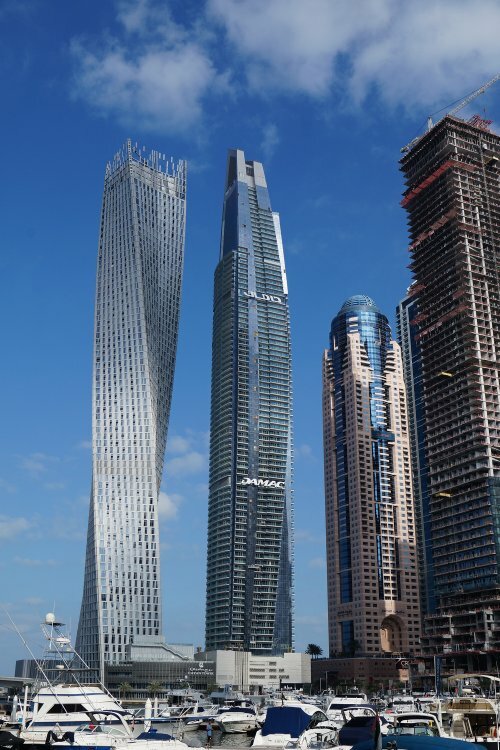 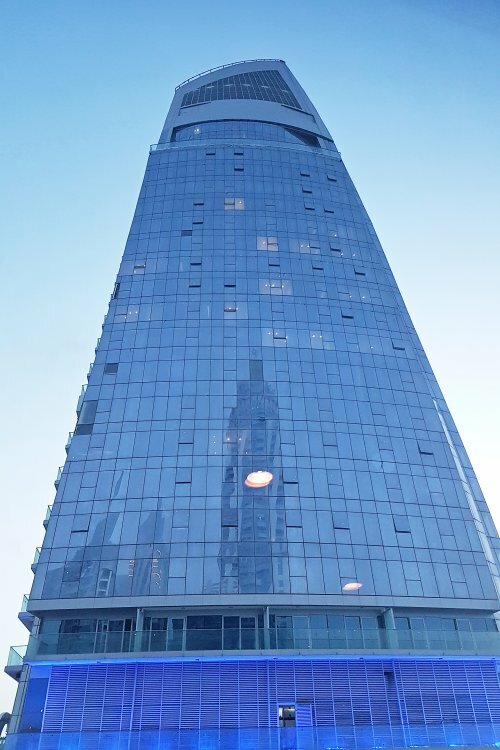 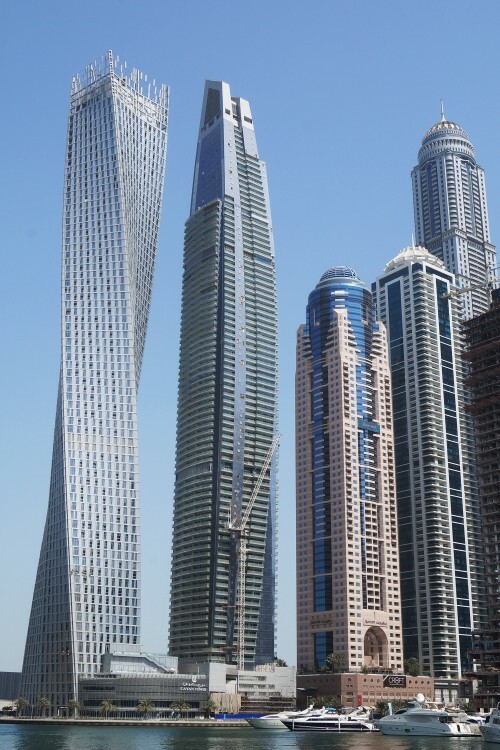 The building is directly adjacent to the Cayan Twisting Tower. 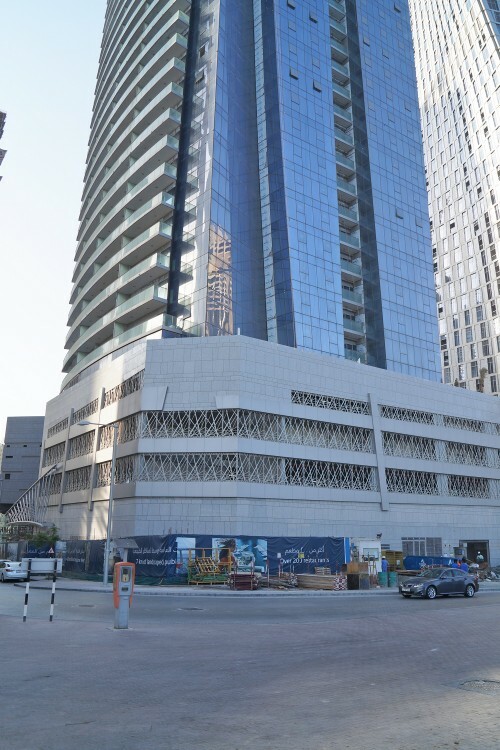 Apartments range in size from one to five bedrooms, all with premium finishes. 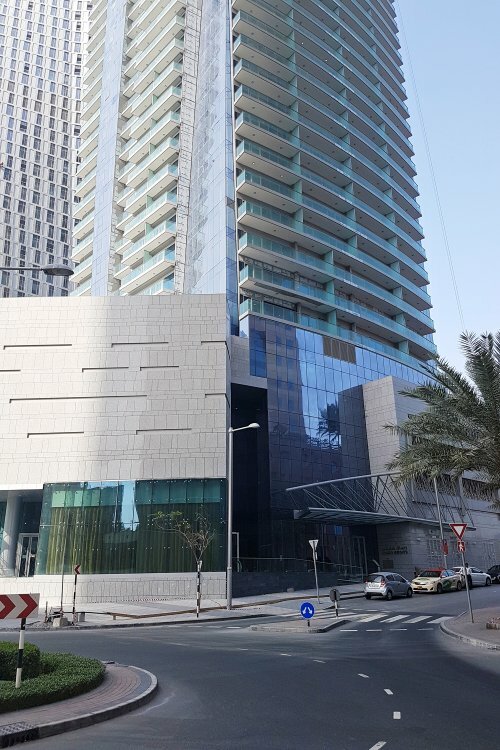 Amenities include a gymnasium, sauna, steam room, Jacuzzi, swimming pool, children's playroom, residents' lounge and games room. 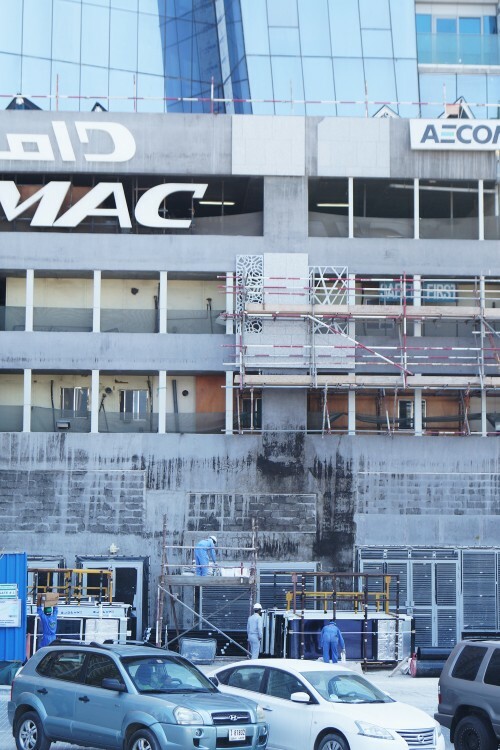 There are five levels of basement parking and four levels of podium parking. 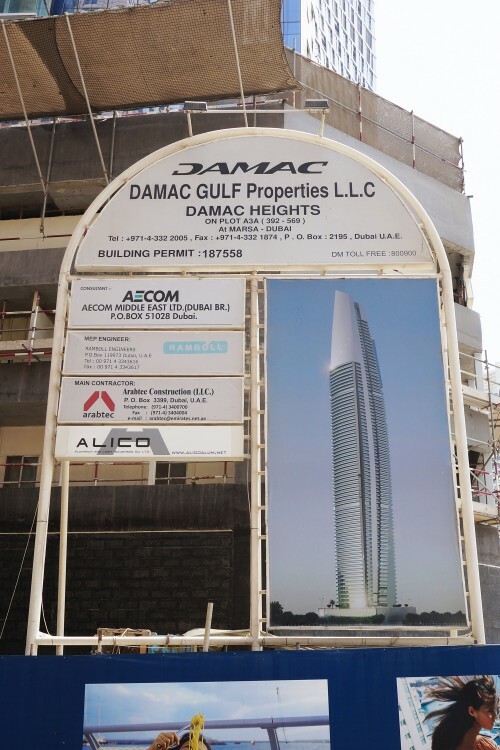 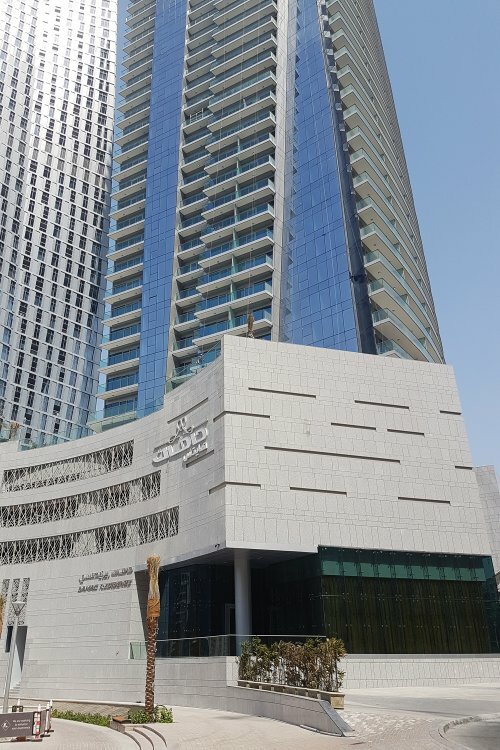 One-click links to properties currently on the market in Damac Heights. 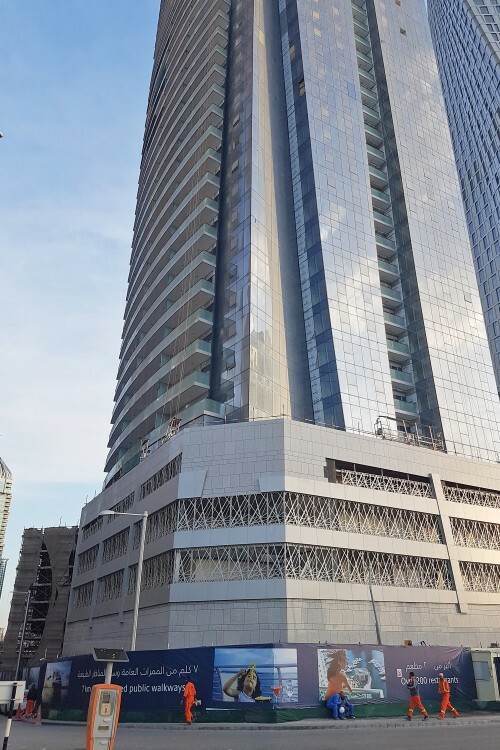 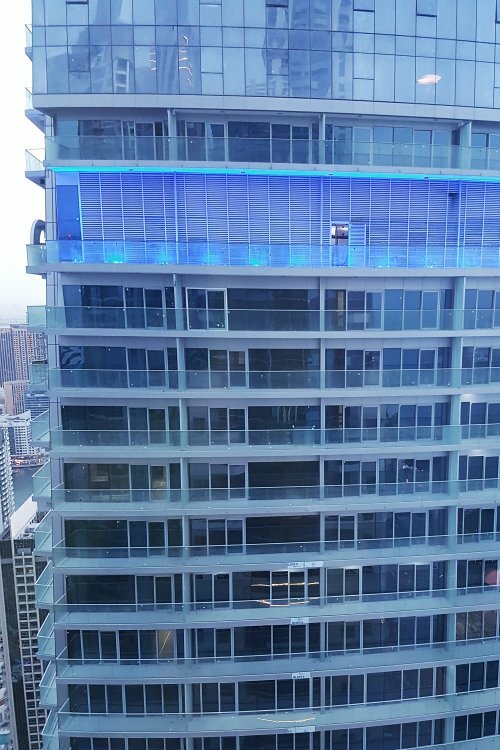 As of August 2017 construction and cladding are complete.